Mind you, they also went from XBox to XBox 360 and then XBox One, so I suppose version numbers are not Microsoft's strongest point. Supposedly that is the for real reason, which I hope is the case cuz that's just adorable. The company didn't provide a timeline for when it would announce new consumer-focused features, let alone when Windows 10 would be available to the public. Probably wise. Though I anticipate it will be out in a year and a half. No, make that 5 hours. Last edited by JoeP; 10-04-2014 at 06:38 PM. Hey look - finally, Windows gets multiple desktops. 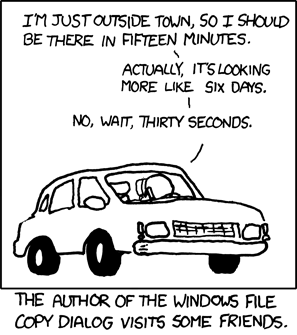 Alt: they want to subtly refer to it as Windows X.
I've just thought of this. The real good stuff will be in "Windows Spinal Tap Edition" where they turn it up to 11.
it’s a long-overdue concession to the fact that Windows users prefer the way things used to be. Either way, Microsoft wants you to know they are really, really sorry and they will never change your OS again. Honest. Guys, guys... what if 7 8 9?! How about Windows 95 on an Android smart watch? I was all in until it didn't run Doom. Not so much their own software as the rest of the universe might do that. The registry is a mess, and having to be compatible with 5 different windows versions even worse. People took shortcuts. The Windows OS has always been such a mess that it doesn't encourage developers to do things properly. When you're walking over a carpet of turds there's no need to wear silk slippers. Subscription service for Office? What's better, buy or rent? If you're asking for a large corporate, there are better qualified negotiators than * If you're asking for yourself, buy or rent are not the only options, and more importantly Windows isn't the only option. If you don't work for a company who provides Windows for you ... do you really need it? * JoeP imagines FF style licencing negotiations with Microsoft. Arguments must be in Latin. With smilies. Terms must include "lol no u" and a ragequit option. If your work requires you to edit fairly large documents with embedded macros and the like, I don't think there's any substitute for Windows, if you want to avoid corrupting your work. * I just dropped $370 on a refurbished Dell 3189 Latitude, from Woot. It's not got a lot of horsepower (N4200 processor), but it's got 8 GB RAM, a decent touchscreen, a GREAT keyboard (spill-proofed), a Gorilla Glass screen and other ruggedization features, and 10 hours of battery life. (It's made for use by schools.) Screen rotates 360 degrees, so you can use it like a tablet. And, frankly, while I've loved my MacBook Air, running Windows under Paralllels has sucked donkey balls for the past year, I was lucky to get two hours on a full charge, and I find it much easier to navigate the data folders on a Windows machine than I do on a Mac. Finally, X1 Search. I've had it for 6 years, now, and it's indispensable for finding exactly the document I want, with the provisions I'm looking for. * My Plays-With-Linux machine is currently in India, with my daughter, son-in-law, and granddaughter, but I hope to get it back when they come here in March, for my youngest son's wedding. I want to try out Antergos, a new Arch-based distro that is supposed to be pretty noob-friendly. Up until now, I've stuck with Ubuntu and its derivatives--currently Bodhi, which actually made my POS HP touchscreen usable. Downloaded Antergos yesterday, and plan to try it out from a flash drive, for a while. I know I could make this machine a dual-boot, but its hard drive is only 125 GB, and I like keeping a fair amount of free space. My POS HP has 500 GB. Is it possible that you can get Office discounts through your place of employment? I bought Office since they offered it to me super cheap through my employer. My work laptop has it, but I don't want them snooping, not that I even know if they snoop or not. All I really use are Excel and Word, for my own purposes. Word would just be for my resume, mostly. What are the alternatives to buy or rent? I could probably search this for myself, but are there good free alternatives? Sometimes you get better results if you ask people that have experienced things for themselves already. Last edited by SR71; 12-31-2017 at 05:05 PM. Wow! I just paid $499 for a HP 17.3 inch laptop with 8 GB and 1TB HD and a DVD drive. It feels cheap, plasticy and toylike, it's really basic, but seems to work ok so far. No really useful software, but I think Macafee is free for a while. Maybe, I guess I could ask the IT guys on the help line. I work far from headquarters, so just figuring out who to ask would be step one. I'll give it a try. Libre Office (open source) should be fine for your purposes. I've used it on my Linux machine with no problems. It's just for larger documents (dozens of pages, table of contents, internal cross-references and the like) that I have to pass back and forth with other folks that I prefer to use Windows. I second the recommendation for Libre Office. For most simple-to-medium complexity documents it's Word / Excel compatible and can read/write those documents in Word/Excel format as well as its own formats. Available for Windows and Mac, as well as Linux. Last edited by ceptimus; 12-31-2017 at 09:41 PM. Libre works great. I opened some Excel files in Libre and saved them with the .ods or w/e extension and everything was fine from there. I even spruced up some old spread sheets and stuff. At first when I tried to open them in Excel, Microsoft was trying to sell me Office, but I was like, eat a bag of dicks, microsoft. told me about Libre.